Emirates Airlines – The airline is currently the only one serving Pakistan from Glasgow Airport with a 1 stop connection, It offers short connections to all over the world including Pakistan via Dubai with average connecting times of around 3 hours. Etihad Airways – The airline currently offers a 2 stop connection to Abu Dhabi and beyond, i.e. to fly with Etihad from glasgow you will need to change at 2 or more airports, normally the connections are via Amsterdam on Flybe and onward with Etihad Airways to Abu Dhabi and worldwide. Mushtaq Travel provides the cheapest flight Tickets to Pakistan from Glasgow and many other destinations within Pakistan and you may find even greater savings if you combine your travel itinerary with a stopover or a connecting flight with Emirates, Qatar, Saudi, Etihad, Turkish, Kuwait, Gulf or Oman Air. If your looking to plan a trip to the Indian Sub Continent with Mushtaq Travel, now is a great time to take the opportunity of a lifetime with a great list of things to do in Pakistan, exploring this country has never been easier. Flights to Pakistan are always at their lowest discounted prices with exclusive sale periods throughout the year providing each customer with the best deals on air tickets. Mushtaq Travel is an established online and office based travel agency where customers can walk in and meet our friendly and welcoming staff, we are one of the UK’s largest Pakistani travel agents ensuring our customers benefit from our extensive expertise in the travel industry in securing access to cheap flights, hotels, money transfer and visa services. We work effortlessly to ensure we provide a free no obligation service at all times including our expert advice over the phone. 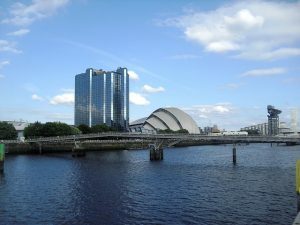 Find the lowest flight prices from Glasgow GLA by booking directly with Mushtaq Travel. Search and compare hundreds of cheap flight offers to find the one that suits your budget by simply inputting your travel dates, try our new multi airline search tool for an even greater choice of flights don’t forget to use flexible date option for an even greater chance of finding the cheapest flights from GLA for your selected travel dates. If you need expert assistance call our travel consultants / representatives today. Our highly knowledgeable staff will be able to help you with any questions regarding your Pakistan flight, or for any special requests or requirements be sure to ask. By booking your flight with Mushtaq Travel you can rest assured that you have booked the best flight at the lowest prices to Pakistan from Glasgow Airport. With expert advice and tailor made solutions available on all types of fares and journeys from Glasgow UK to all over Pakistan why not speak with our friendly and informative staff with a combined experience of over 30 years in arranging and organizing airfares and ground transportation for personal, business or leisure travelers. When looking for Glasgow GLA to Pakistan Flights always search using flexible dates either side of your intended travel dates, try a wider search parameter by searching from different airports i.e if your wanting to fly from Newcastle to Islamabad but can travel to other airports within Pakistan such as Lahore, Sialkot, Multan or Karachi adjust your search to compare those airports including your departure airport some airlines don’t fly out of Glasgow and searching from Edinburgh, Newcastle or Manchester could save you a significant amount of money. You can even narrow your search to ensure availability is completely up to date by selecting a specific airline, this way you can rest assured you are getting the best value for your next trip to Pakistan. There are innumerable reasons for wanting to visit the the Indian sub continent including Pakistan, each visitor is assured to take a away a completely different experience from their stay. With a multitude of things to do a sites to explore Pakistan has something different to offer its tourist from the young to the elderly and to the more discerning traveler a whole host of adventures and expeditions to keep you entertained during your holiday, short visit, long stay and even business. Flights booked with Mushtaq Travel are ticketed instantly after your payment confirmation, if you make a payment for flight tickets at the same time as your booking we will en devour to email receipt of your etickets within 24 hours of confirmation. Payments for flights can be made online using our secure card processing facilities provided by paypoint.